Start the day with a yummy, healthy breakfast! 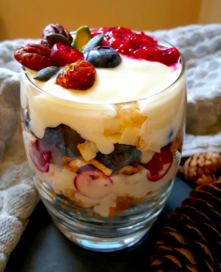 This superfood berry and yoghurt parfait is delicious and taste amazing. They are a delightful way of incorporating different textures and flavours into one meal. 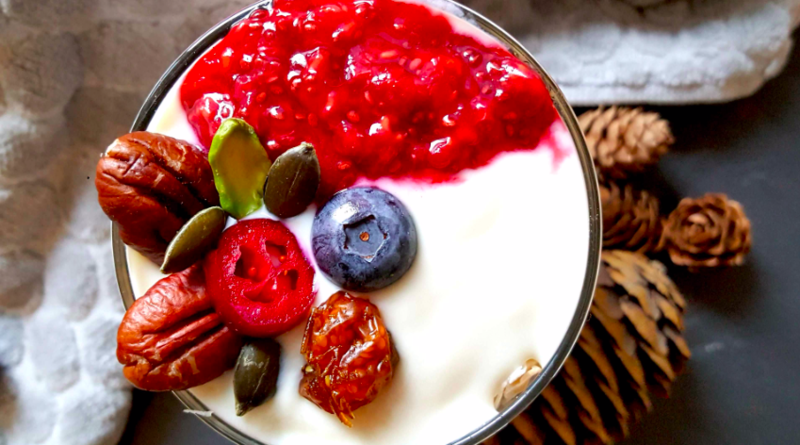 Just imagine digging into creamy cooling yoghurt, fresh, sweet juicy berries, chewy dried goldenberries, crunchy fragrant nuts, seeds and granola! Mmmm! They are also a fantastic way of using up whatever fruit you have in the fridge and the last bits of granola in a box. (Or jar, if you make your own!). Sometimes I even use crumbs broken off from slicing up homemade flapjacks (those crumbs are simply too good to waste!). While I have listed this as a breakfast recipe, it is actually so tasty, I sometimes have this as a healthy snack too! To boost the nutrient profile, I have added protein powder and zingy baobab superfruit powder into the yoghurt. Baobab superfruit powder is made from the ground pulp of the baobab tree, also known as ‘the tree of life’. It has a delicious tangy citrus flavour. 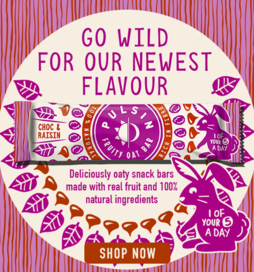 It is packed with vitamin C, fibre & antioxidants, calcium, iron, magnesium, phosphorus, potassium, selenium, zinc & vitamins B1, B2, B6, B12, B7; nutrients which can give you an energy boost, support the immune system and reduce fatigue. By using gluten-free granola, this recipe is suitable for those avoiding gluten and by using plant yoghurt, this recipe is suitable for those following a plant-based diet. In a small bowl mix together the yoghurt, protein powder and baobab powder until smooth. In a small bowl make the chia jam. Using the back of a fork, mush up the raspberries with a splash of lemon juice and water and a large pinch of stevia or coconut sugar. Then the fun begins. Start layering up with alternating layers of fruit, granola, raspberry chia jam and yoghurt until you read the top of the glass. Garnish as desired and serve.